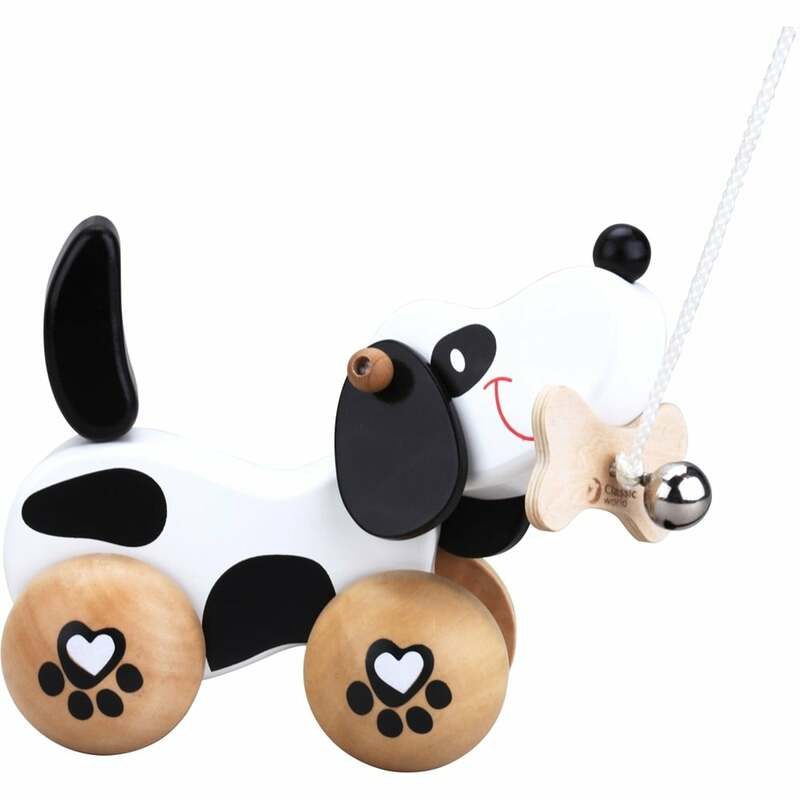 The Classic World Pull Dog is easy to push or pull which makes it the perfect toy for any little one learning to walk. The Classic World Pull dog is a cute and colourful dog pull toy that wiggles its whole body as it moves. The dog moves in a very smooth motion making it easy to push or pull. Classic World Pull Dog encourages your baby to walk. Classic World Pull dog encourages imaginative play and creativity which are essential for your baby's learning and development.